Duke University Press, 9781478003212, 288pp. For almost sixty years, media technologies have promised users the ability to create sonic safe spaces for themselves--from bedside white noise machines to Beats by Dre's "Hear What You Want" ad campaign, in which Colin Kaepernick's headphones protect him from taunting crowds. 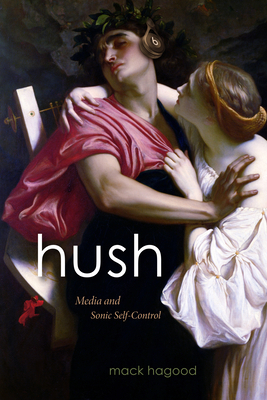 In Hush, Mack Hagood draws evidence from noise-canceling headphones, tinnitus maskers, LPs that play ocean sounds, nature-sound mobile apps, and in-ear smart technologies to argue the true purpose of media is not information transmission, but rather the control of how we engage our environment. These devices, which Hagood calls orphic media, give users the freedom to remain unaffected in the changeable and distracting spaces of contemporary capitalism and reveal how racial, gendered, ableist, and class ideologies shape our desire to block unwanted sounds. In a noisy world of haters, trolls, and information overload, guarded listening can be a necessity for self-care, but Hagood argues our efforts to shield ourselves can also decrease our tolerance for sonic and social difference. Challenging our self-defeating attempts to be free of one another, he rethinks media theory, sound studies, and the very definition of media. Mack Hagood is Robert H. and Nancy J. Blayney Assistant Professor of Comparative Media Studies at Miami University in Oxford, Ohio.